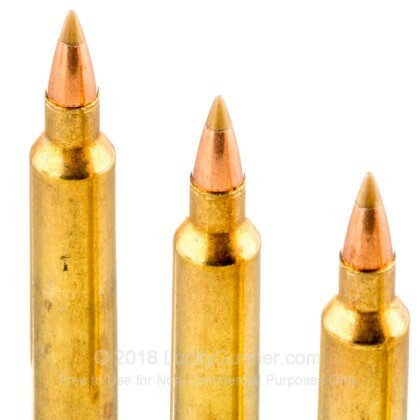 For varmint hunting with your favorite rifle chambered in .204 Ruger, accept no substitute to these excellent rounds from Remington. 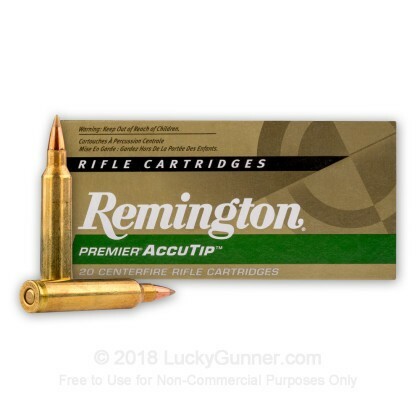 Remington's Accutip-V projectile optimizes the inherent speed and accuracy of the caliber for commendable performance on groundhogs, coyotes, and other medium-sized pests or game animals. This is achieved via the use of a gold-colored polymer tip which glides through the air with little deviation and initiates rapid fragmentation upon impact for explosive energy and little risk of overpenetration. The projectile is also designed with a boat tail rear for drag resistance alongside an internally contoured copper jacket. 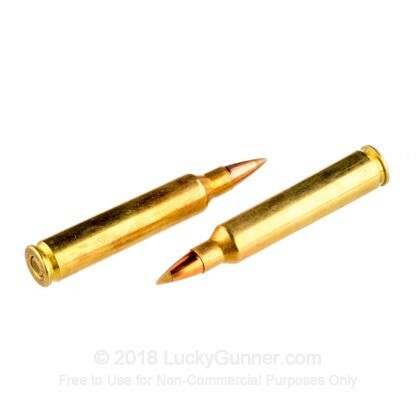 The jackets precise shaping controls the expansion of the lead core and ensures that the bullet penetrates deeply into a target before depositing all of its energy into more vital areas. As a result, hunters can expect cleaner, more humane drops with no head scratching or blood trail tracking. 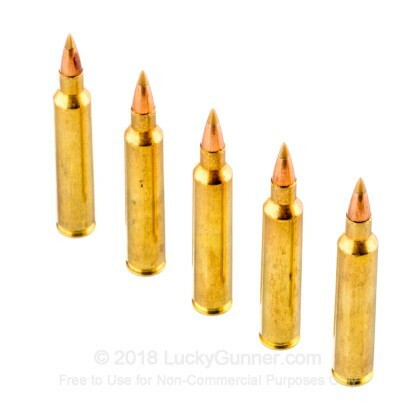 Other components of these rounds include reloadable brass casings, non-corrosive Boxer primers, and consistent measures of clean-burning powder which falls within the original design specifications from Hornady. Remington is a proud, American business with many historical feats in firearms and ammunition to their name. Their wide range of products suits the needs of any shooter and their Accutip lineup is especially recognized for superb precision and proven terminal ballistics. 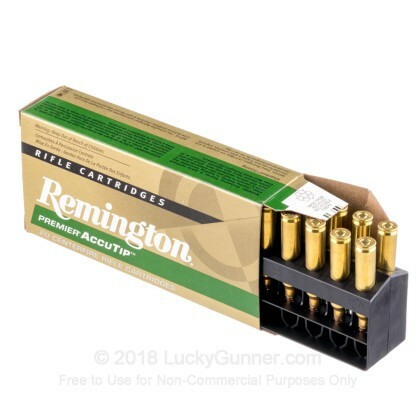 We don't have any reviews yet for this particular .204 Ruger ammo from Remington. 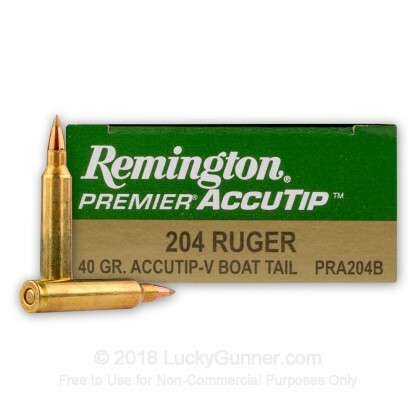 If you'd like to be the first to review this particular .204 Ruger ammo from Remington, fill out the form below.